Car Hire at Stansted Airport, book now and find great savings! Car rentals needn’t be just for travelling around your holiday destination. Did you know that rental cars can often work out cheaper and more reliable than public transport, especially if you are travelling in a group? The Stansted car hire providers are located a short distance from the arrivals terminal, with shuttle buses in operation should you have a bit too much luggage to walk far with! Whilst it is possible to book car hire upon arrival, keep in mind that this can often be more expensive and you’ll probably have less choice when it comes to selecting your vehicle. At peak travel times, car hire can be limited and sometimes providers may not have any vehicles available. Therefore it is best you book your car hire in advance to ensure you get a car! You can often find the cheapest car hire deals by booking your car hire on the web. Online comparison sites can compare all of the car hire providers at Stansted for you to show you who has the best deal. A great online comparison site for car hire is Car Hire Centre where you can check and compare all the car hire providers at Stansted Airport and get the cheapest prices for time you want to travel. Use the widget to the right to get a quote now! For a quote just call +44 (0)844 816 0099*. With eligable cover for anyone between the ages of 21 to 85 years old (inclusive), we highly recommend you to use the Insurance4carhire service. UK & Europe policies coveres excess on damage and theft up to £6,500 per year. 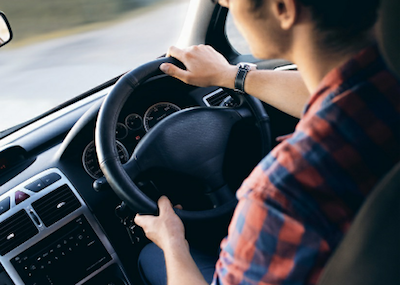 There are so many different regulations regarding additional fees for young drivers and the minimum age of hire it can be confusing if you are looking to hire a car under the age of 25. The reason for this confusion is that all providers implement different regulations for young drivers. The majority of car hire providers will only allow drivers over the age of 23 to hire a car with them and at a push, 21 is sometimes acceptable. All of the car hire providers charge a young driver’s surcharge at Stansted Airport. This charge is for customers under the age of 25 and is an additional fee which is added to your booking because young drivers are considered high risk drivers. The charge varies for each provider and vehicle group. Most imnportantly, you will need your driving license. Customers whose license is written in non Roman script such as Arabic, Chinese or Russian may need to obtain an international drivers permit before entering the UK. You will also need a second form of identification. Your passport would be the most suitable document to present. If your car hire provider requests any other documents they should ask for this in advance or provide details on their website. Hire your rental as far in advance to get the cheapest deal. Opt to pay when you make your booking rather than upon arrival at the location. Car hire providers prefer you to pay for your rental during your booking because it is more beneficial for them. They wish to deter people paying upon arrival at the location so they make this charge a lot more expensive. Therefore you save a lot of money paying for the rental when you make the booking. Add any additional drivers to you rental during booking. You can add drivers after you have made the booking but this may be more expensive. If you are renting from the airport add your flight number and arrival time to your rental policy if possible. This way you will not be charged if your flight is delayed. Purchase car hire excess insurance. Your own personal car insurance will not cover your rental. Providers can charge you an excess up to £2,000 if your vehicle is damaged during your rental. You can buy excess insurance from Insurance4carhire. Remember buying excess insurance can save you a considerable amount of money in the long run. Before driving away your rental vehicle check it works properly and check it has no damage. If you find any damage report it to your provider. Get to know your vehicle before you drive away; check you know how to use the headlights, windscreen wipers and whether it takes Diesel or Petrol fuel. Obey the driving rules and regulations in your rental country. Avoid receiving any penalties by sticking to the speed limit. You will be responsible for any penalties incurred during your rental and you may have points added to your license. Finally, try not to return your vehicle late. Sometimes provider will offer a 59 minute grace period but this is not always the case. Returning the vehicle late may result in a whole day’s hire being added to your rental. These are just a few tips to help you with your rental. You can find more car hire tips at the Car Hire Centre. If you are hiring a vehicle from the airport then you will be charged an additional fee which is referred to in your rental as “Airport Surcharge”. This fee is added because it costs more for car hire providers to operate from airports than local branches, therefore they charge this additional fee to cover their costs. You should be aware of this charge as it is not always included in your rental policy and it may be charged separately from the rest of your rental. Something you may not have considered is a one way car rental to or from the airport. One way car hire means you can pick up the rental vehicle at a local provider branch and drop it off at their airport branch. Alternatively you can collect your vehicle from the airport and drop it off at a local branch or different airport. Usually providers charge a large fee for this service as their cars are in different parts of the country. However, National Car, Europcar and Alamo provide Airport Connect to their customers which is a one way hire from £49. 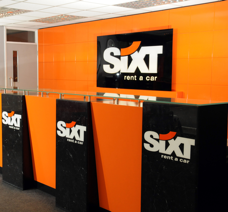 You can expect top quality vehicles at affordable prices with Sixt Rent-A-Car! The minimum age to hire a vehicle with Sixt is 21 years old, but drivers under 25 will be subject to the Young Drivers Surcharge. Additional Driver fees start at £8.99 and will vary depending on the type of car etc. With hundreds of branches across Europe, you are able to hire from one location and drop off at another for your convenience. Please note, restrictions apply when using branches over different countries. Sixt can fit adapted hand controls for disabled drivers, please give them at least 2 days notice if you require this service. 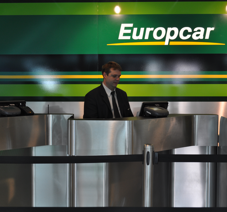 Europcar is one of the leading car hire companies in Europe and offer a selection of vehicles to their customers. Europcar offer one way car hire from £1!! The minimum age to hire a vehicle with Europcar is 21 years old. Please note; drivers under the age of 25 will be subject to the Young Drivers Surcharge. Additional Driver fees start at £10 a day. Europcar offers one way hire from just £1 as they have identified a more cost effective way to transport vehicles to various locations. If you happen to be moving a vehicle to a desired location, it’ll cost you just £1! Great prices and a wide range of vehicle choice; what more could you need?! You’ll have to be 23 years old and have held a licence for at least a year to hire a car with Avis. The charge varies from each country, so this will be made clear at the time of booking. However, in some locations, additional drivers with the same surname as the main driver won’t have to pay the fee. At the time of booking, simply un-tick the “return to same location” box, select where you plan to return it and you’ll receive a quote based on the location. 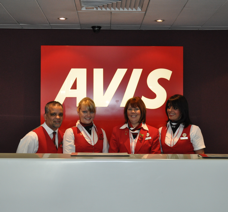 Avis will add disabled hand controls to your hire vehicle free of charge. Start your journey with Hertz by making the most of their fantastic value car hire from Stansted Airport. You can hire car out of hours by calling 0843 309 3071 and making your reservation over the phone. Any driver under the age of 25 will be subject to the Young Driver Surcharge of which the cost varies depending on the location. Hertz have teamed up with Adaptive Vehicle Hire to ensure you get the right transportation for your needs. Prices start from £45 a day, so please call the Adapted Vehicle team on 01895 439111 for a quote or to book. 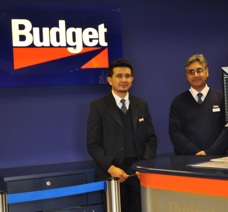 Budget provide top rental cars at low prices. As their name suggests their rentals do not cost the earth but their cars are of the highest quality. 23 is the minimum age requirement for a rental with Budget. Drivers under 25 will need to pay at least £32.50 per rental day as a young driver’s surcharge. There is a £11 daily charge for an additional driver. In selected locations, one way hire is available. Please see the booking terms upon obtaining a quote. Budget are able to fit your vehicle with panoramic mirrors, Lynx hand Controls and steering balls. If you require any of these to be added to your rental car, please contact the team on 0808 284 4444, allowing at least 48 hours notice. Book your car hire online or over the phone, quickly and easily with Enterprise rent a car. Remember to book in advance for the best deals. 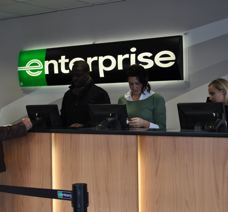 Enterprise enforce age restrictions on their car hires for all vehicle groups. The minimum age to hire a vehicle with Enterprise is 25 years old, and may be higher for some car groups. There is a £10 daily charge for an additional driver. You can hire your car from one uk location and drop it off at another – perfect for airport transfers! Visit their website for more information. Enterprise provide specialised options for their customers with disabilities including adding Hand controls to their vehicles if needed and will require 2 days notice to fit them.